Since Obama’s portrait was unveiled, I’ve received a flurry of text messages from outraged artist friends I made while living in New York. No, they weren’t outraged because they saw Kehinde Wiley’s other painting that feature black women murdering white women. 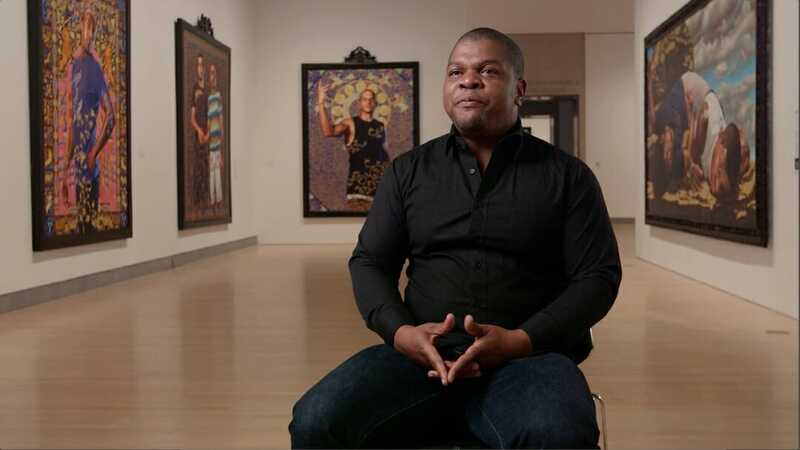 They were outraged because Kehinde Wiley is a terrible artist who only rose to prominence, something they have been attempting to do their entire lives, in the art world because he is a racist gay black man. And if that werent enough: he doesn’t even paint his own work. That unabashed bombast has made Wiley a walking superlative: the most successful black artist since Basquiat, possibly the wealthiest painter of his generation, certainly the one who made his name earliest (he was 26 for his first major solo show), a gay man who has become the great painter of machismo for the swag era, a bootstrapper from South Central who talks like a Yale professor (much of the time), a genius self-­promoter who’s managed to have it both ways in an art world that loves having its critical cake and eating the spectacle of it, too, and a crossover phenomenon who is at once the hip-hop world’s favorite fine artist (Spike Lee and LL Cool J own pieces) and the gallery world’s most popular hip-hop ambassador. Not to mention an all-around positive guy. His works are Billboard painting quality. 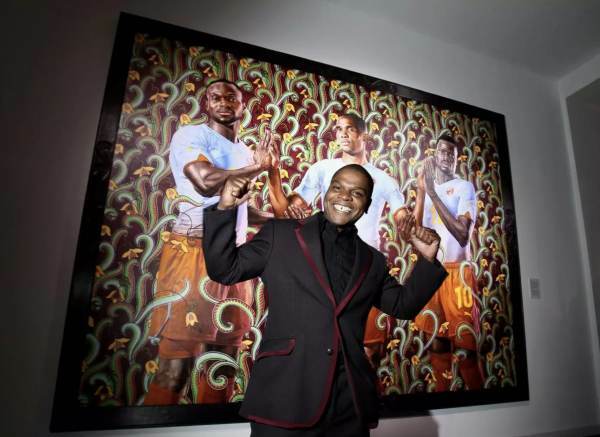 If he was white, he has not enough skill to be famous artist. So, alright, affirmative action seems to be a major thing in New York – if you are white, or even Asian, you can count on a struggle. The art world doesn’t want you because they’re too busy propping up those technically bad painters who happen to be able to tick more boxes off the intersectionality checklist. Wiley doesn’t actually paint his work. A common technique used, especially by Chinese labor “painters” who mass produce work, is to repeat a pattern over and over rather than use an artist’s intuition to create a scene. Producing work in China cuts costs, but not as much as it used to, Wiley says. These days in Beijing he employs anywhere from four to ten workers, depending on the urgency, plus a studio manager, the American artist Ain Cocke. And there you have it, disgusting as it may be. Is the skill of Wiley’s work good? No, but maybe that’s because he outsources the work to underpaid Chinese labor. Are his concepts good or original? No. It’s very unoriginal these days to be a racist black man whose raison d’etre purely centered around anti-white ideologies. So why is Wiley famous now? 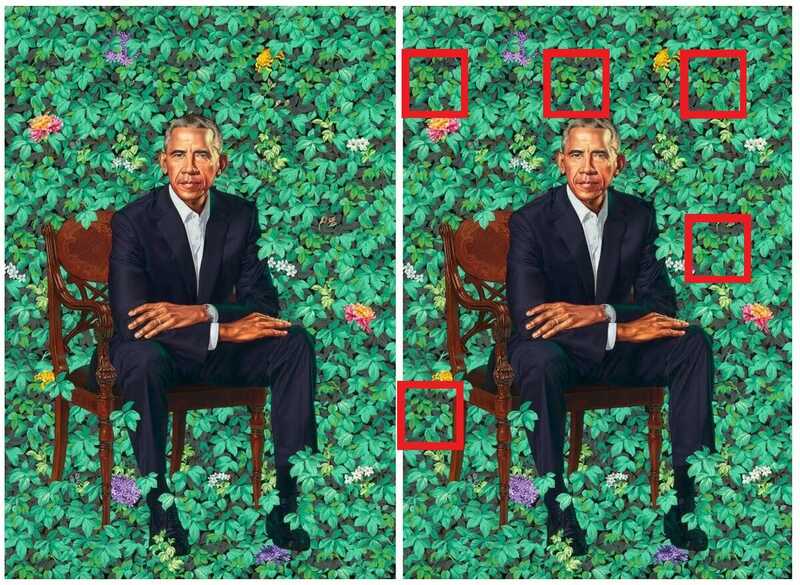 How did a former president of the United States end up tapping this sly con artist to paint his portrait, an incredible honor for any artist? What does it say about the state of the arts and modern American culture that we’re willing to pay a hustler hundreds of thousands of dollars to have underpaid Chinese women paint large anti-white paintings? 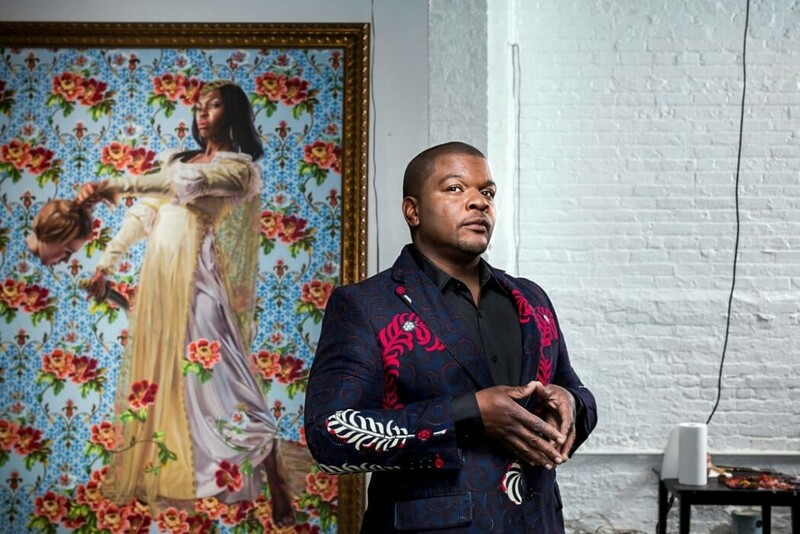 All that can be definitively answered is: A racist con-artist is being propped up by not just the deranged art world but a former president, and that should trouble everybody.